Create your dream home with expert advice and ideas on color, function and design. Get tips on choosing the best windows and doors for your project. Take a look inside beautiful homes others completed to get your creative juices flowing. Whether you are looking for function or aesthetics, our resources library can help guide you through creating the home of your dreams. 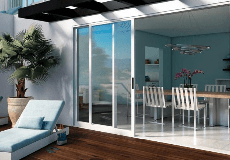 Learn the key points to keep in mind as you select new patio doors. Interior Designer and color expert Jennifer Ott gives tips on matching your Milgard frame colors to your home decor. The contemporary style residence is a certified Department of Energy Challenge Home, ENERGY STAR® home and Green Built Texas Home. Get inspired with design ideas for incorporating French Doors in your home.